At first glance, you may notice that this town is not a particularly interesting place, perhaps even a little scruffy, but it's a great place to explore some fascinating archaeological sites. 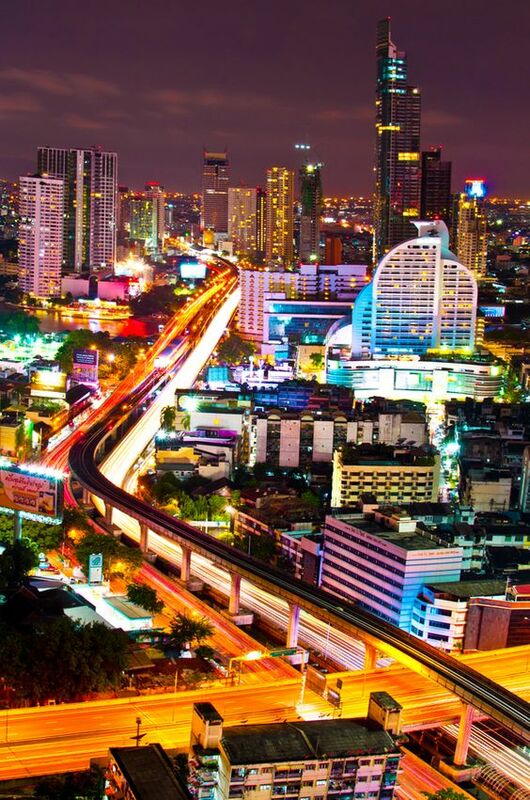 It is far better to stay overnight in Bangkok, then take a drive out in the morning on your way to the beach resort town of Hua Hin or Cha-am. If you like, you could stay over in one of the luxury hotels or resorts near the beach in Hua Hin. The reverse will also work from Hua Hin to Bangkok. 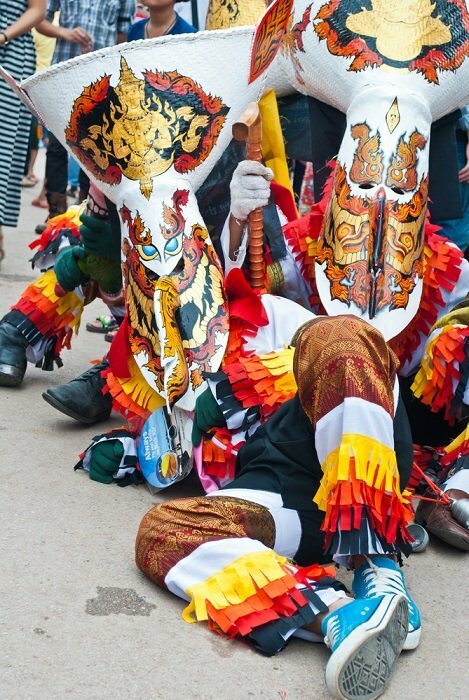 Come and explore the town and province on this 5-Hour tour from Hua Hin and Cha-Am. Not only will you learn about the important role the area played in the history and development of Thailand, you'll get to visit the cultural and religious attractions such as Khao Wang (See pic above) and Tham Khao Luang Cave. 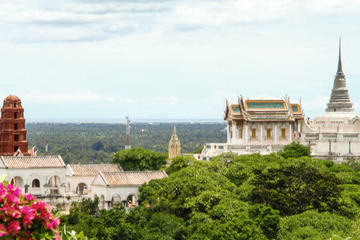 Your tour begins with a pickup from your hotel in Hua Hin or Cha-Am for the 50-minute drive into town. Please check the link above for more details. Wishing you a safe and pleasant journey. By booking your tour from this page (at no extra cost to you) you'd not only enable me to receive a small commission, but you'd also be helping me maintain this blog so that I can continue giving you more Thailand travel information. Khao Luang Cave is located three kilometres (one mile) from the town of Khao Luang. As you approach the town along Route 4, take the left fork and continue past a rocky hill on your right. Cross over the railroad track and park under the shady trees. A steep stairway will lead you down to the entrance to the cave. The best time to visit is around midday as the opening in the roof of the cave allows the sunlight to illuminate the huge central chamber. You will see many Buddha statues, including a fifteen metre reclining Buddha. Phra Nakhon Khiri Royal Palace, also called Khao Wang, stands above the town of Phetchaburi on the 95 metre (320) foot high Khao Khlang Mountains. Built in 1860 by King Mongkut who had a keen interest in mathematics, political science as well as astronomy. You cannot help but notice the kings observatory, which dominates these now restored ultra white palace buildings. Architecture as well as artifacts and furniture that are seen in the small museum here consists of many outside influences including Western, Chinese and Japanese.